Outspoken Christian Lecrae made history on Sunday when he became the first rapper to win the Best Gospel Artist Award category at the 2015 BET Awards show. And the rapper posted a brief message on Facebook Tuesday expressing thanks for the win. "Always grateful. Engaging the soul thru Music. #SoulMusic," he noted. 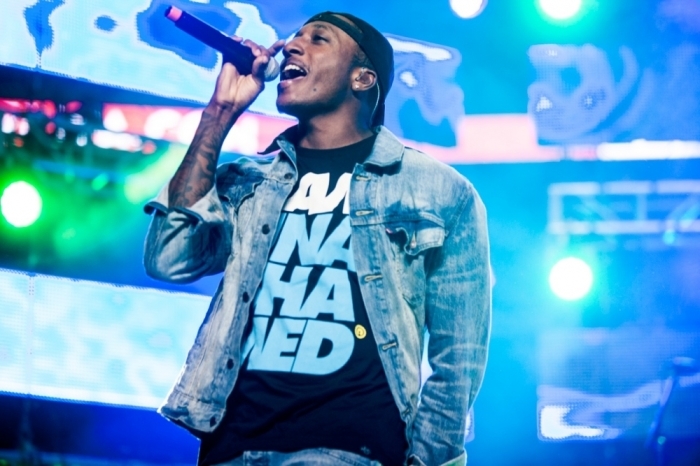 Lecrae beat out fellow Christian artists Mali Music, Erica Campbell, Deitrick Haddon, Fred Hammond and Michelle Williams for his first BET Award win. His last nomination for the category was in 2013 and he lost to Mary Mary. Lecrae has had a pretty successful year at award shows so far. He took home the Grammy for Best Contemporary Christian Music Performance/Song in February, Rap/Hip-Hop CD of the Year at the Stellar Awards and Top Christian Album at the Billboard Music Awards. In his Grammy acceptance speech, the rapper publicly thanked God. "Love and respect to everybody out here because this is a celebration of gifts. And there's so many people out here who are gifted, but obviously you can't celebrate gifts without celebrating the giver of all gifts. So I want to celebrate Jesus for gifting us all with the gift of love and sacrifice," said Lecrae. The rapper is also preparing to release his very first book titled Unashamed in 2016 which will reveal details about his life, including struggles with drugs, alcoholism, bouts of depression and a suicide attempt. The book's release will precede the launch of Lecrae's next album. "As an artist my ambition is to make honest music, and I feel the same way about writing this book," said Lecrae in a press release announcing the book. "I want to be honest about where I've come from and what I've learned along the way. I want to influence culture, to help catalyze and inspire, and help other people find understanding. If they find some inspiration and some clarity for their own lives, as they follow my journey, then I will have succeeded."